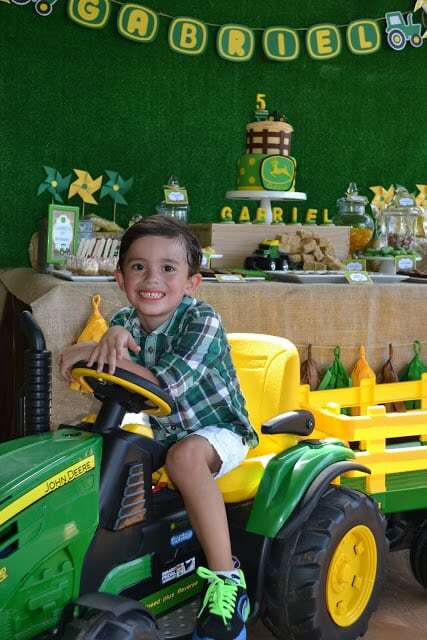 When your nephew owns his very own toy John Deere ride-on tractor, a boy’s tractor themed birthday party is an easy choice come birthday time! 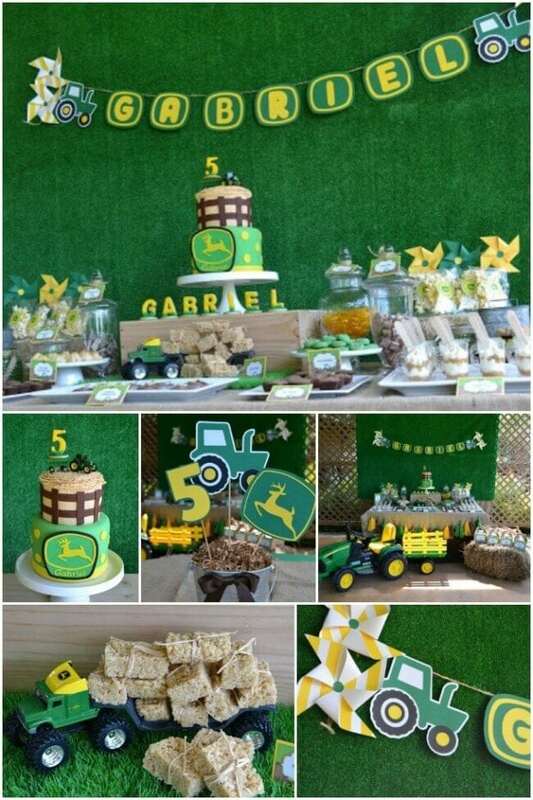 Carol Colon, of Partylicious Events, styled this adorable event in perfect shades of John Deere yellow and green. You will love how the party printables and other chosen decorations pair well with a sweet dessert table and clever treats favored by the birthday boy! Want more ideas for party decorations and supplies? 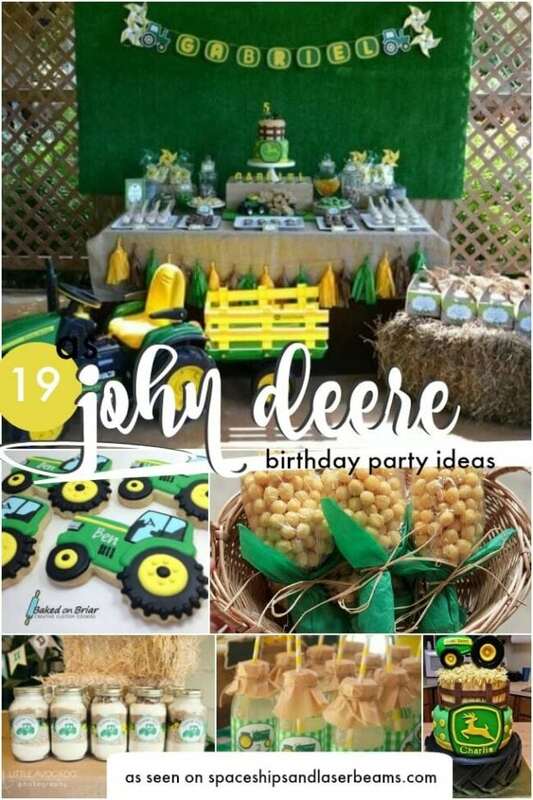 Go here to see 19 John Deere birthday parties. 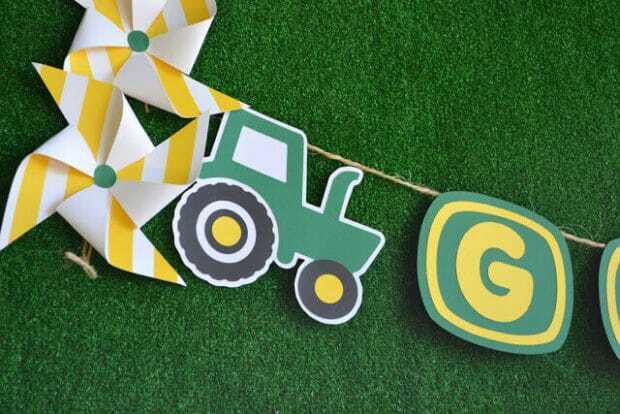 Head to farm land with the darling details in this farm party for a 2 year old. Grab some vintage inspiration found in this spectacular beautiful day on the farm birthday. 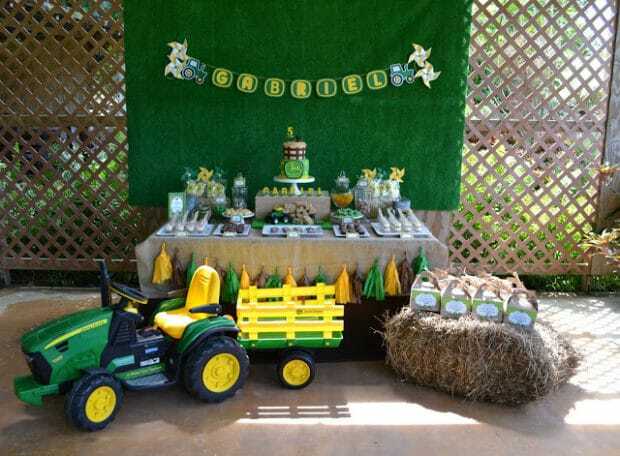 I’m immediately drawn to the signature John Deere colors used on the dessert table. Faux grass was hung on lattice, creating a perfect green backdrop. 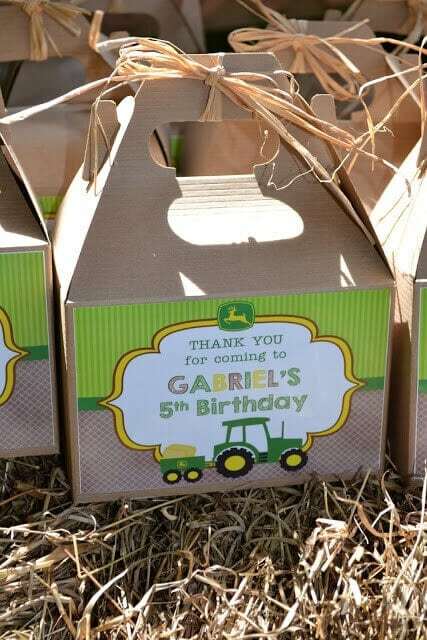 A cute printable banner was hung spelling out “Gabriel” in a John Deere inspired font. I love the tractors and pinwheels on each end of the display. Little details add so much fun to a theme! 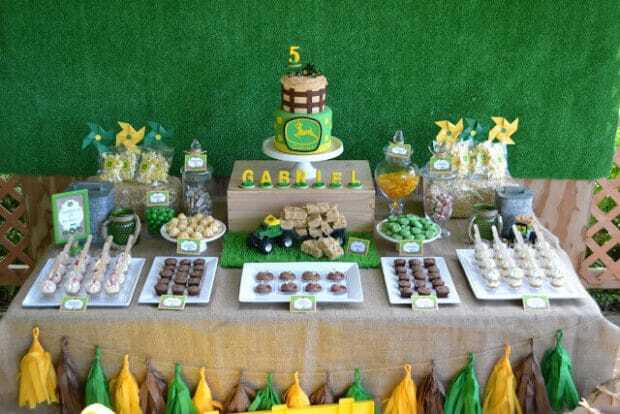 A gorgeous spread of desserts was displayed for a sweet feast atop a burlap tablecloth accented on the front with yellow, brown and green tissue tassel garland. I love how Carol incorporated the treasured toy tractor as a theme-coordinating prop in front of the table. Talk about a great way to drive the theme home! Plus, since it was something already owned and loved by the birthday boy, it was a smart choice. 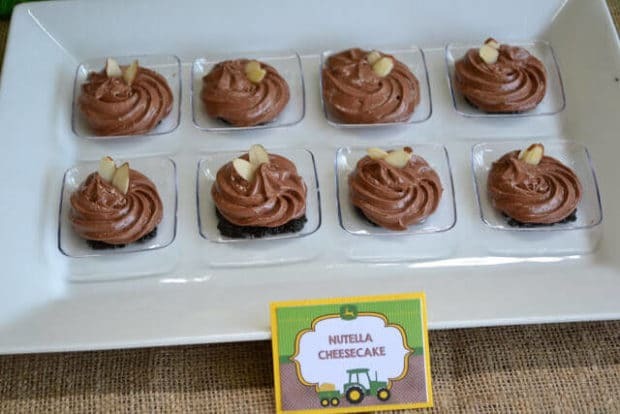 A large bale of hay extended the dessert table and served to house favor boxes and added to the farm feel of the party. The top of the dessert table was overflowing with a beautiful selection of scrumptious looking treats. 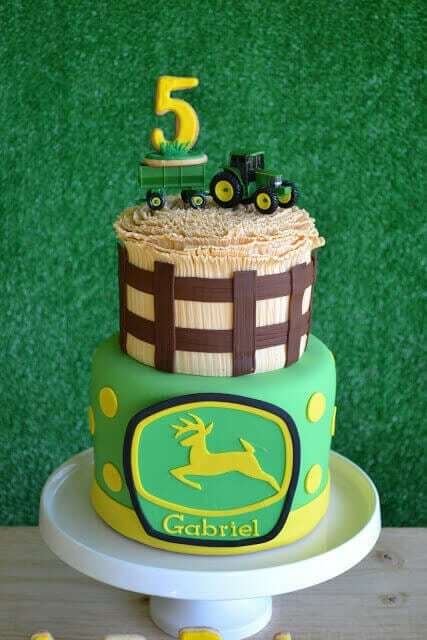 An incredible cake by Jovanna Velentin stole the show with two layers of John Deere and farm-inspired goodness. The fondant detailing is amazing. 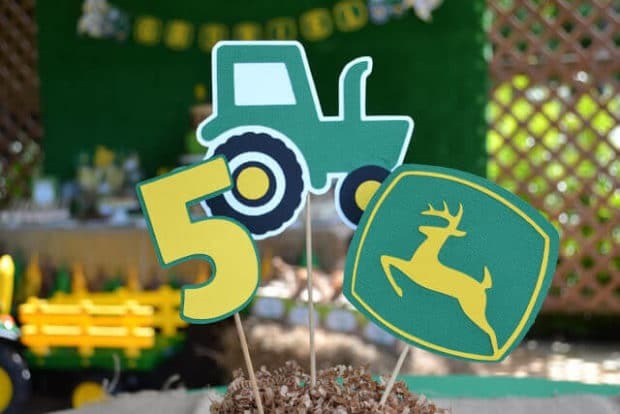 And don’t you just love the #5 cookie topper being pulled along by a small John Deere tracker? What a creative way to add personalization to the cake. Sugar Bliss (who also happens to be the guest of honor’s mom) baked up the rest of the impressive desserts. 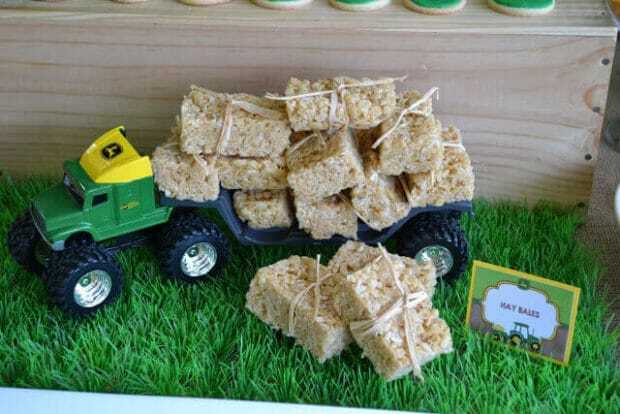 Rice Krispies turned hay bales were precious cargo in the back of another toy John Deer truck. They are my personal favorite! It’s amazing how a little bit of raffia added to the look. 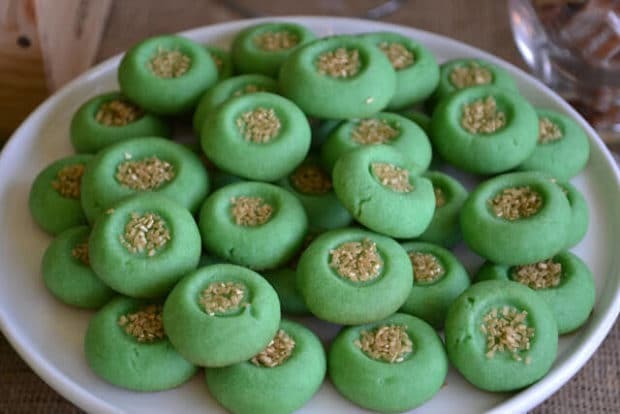 And check out those cookies. 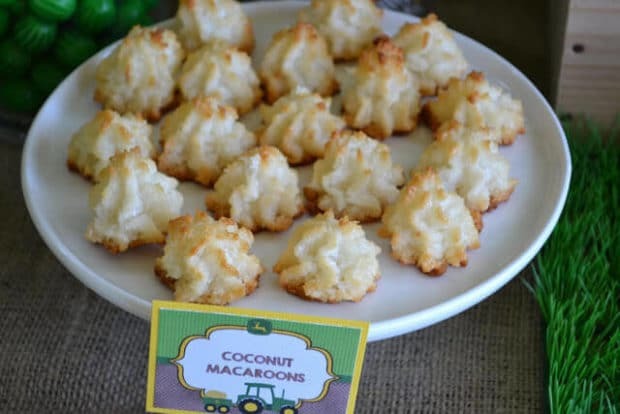 Thumbprint and macaroons? How do you choose between them? I think the answer is, “you don’t”. Who said you can’t have one of each? 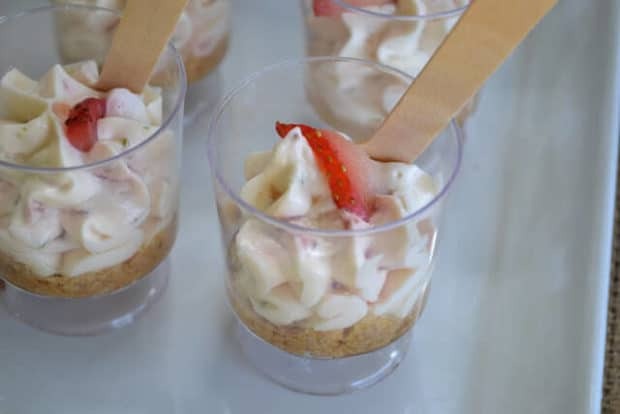 Other additions to the dessert table included brownies, caramels, watermelon gumballs, popcorn, mini cheesecakes, and peanut butter candy bars. 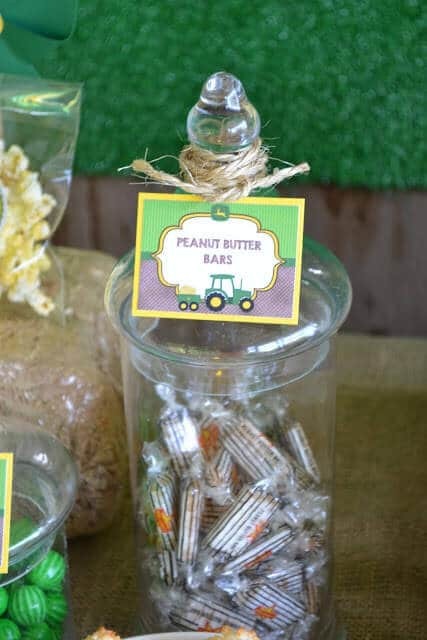 I love the printable food labels with cute tractor themed graphics—such an impactful, yet simple way to inform guests of refreshment choices and add to the overall party feel. To work off all of that sugar, guests enjoyed a bounce house and playing soccer all afternoon. 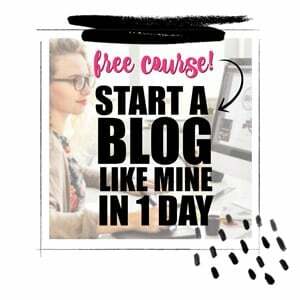 Sounds like a fun way to expend some energy to me! Remember those party favors I mentioned earlier, displayed on the hay bale? Each child got to take home one of the cute personalized gable boxes full of candy and a baseball cap. Can you imagine a more perfect celebration for a darling little boy’s birthday? What a cute way to incorporate a favorite toy into a party theme!